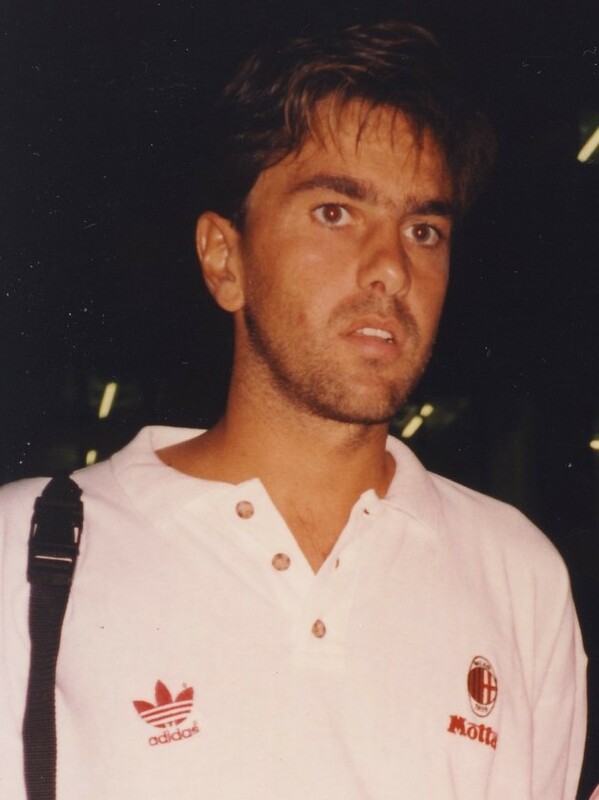 Alessandro Costacurta is regarded by many as one of the greatest defenders in history due to his versatility. 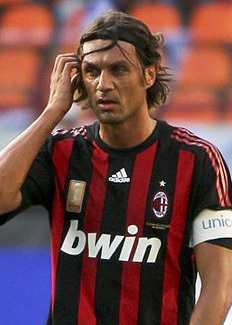 Together with other Milan defensive players including Maldini and Baresi, he formed one of the best defensive units of all time. Playing for Milan throughout his twenty year career, he participated in all Milan’s victories of this period including seven Serie A titles (1987-88, 1991-92, 1992-93, 1993-94, 1995-96, 1998-99 and 2003-04) and five Champions Leagues (1988–89, 1989–90, 1993–94, 2002–03 and 2006–07). On 19 May 2007 Costacurta broke the Serie A record for the oldest goalscorer in Serie A at 41 years and 25 days. With Italy, Costacurta played 59 games and reached the final of the 1994 World Cup largely thanks to strong performances in defence with his team mate Maldini.